Indian tea production for 2016 (Jan-Dec) was marginally up by 2.5% to 1239.15 million kg as compare to 1208.66 million kg in 2015. In 2016, Assam had produced 642.18 million kg in comparison to 631.22 million kg in 2015. In West Bengal too, production has gone up to 357.47 million kg in comparison to 324.5 million kg in 2015. South Indian tea production was also up from 212.21 million kg in 2015 to 227.57 million kg in 2016. Although, production of tea in India has risen, exports have taken a hit. Exports have dropped by 2.46% in the period January to November 2016, according to Tea Board data. In the first 11 months India has exported 197.01 million kg of tea in comparison to 202.12 million kg in the same period last year. Indian tea has been facing stiff competition in the world market from Kenyan tea in 2016. Kenya had produced 73 million kg more teas in 2016. West Bengal comes at the second position in the list of tea producing states with 329.70 million kilograms of tea production in the year 2015-16, which is roughly 26% of the national produce. Districts of Darjeeling, Jalpaiguri and Coochbehar are the major tea producers of the state. World tea production (black, green, instant and other) increased by 4.4 percent annually over the last decade to reach 5.73 million tonnes in 2016. China was responsible for the accelerated growth in global tea output, as production in the country more than doubled from 1.17 million tonnes in 2007 to 2.44 million tonnes in 2016. China accounted for 42.6 percent of world tea production, with an output of 2.44 million tonnes in 2016; production in India, the second largest producer, increased to a record high of 1.27 million tonnes, due to favourable weather conditions. Output in the two largest exporting countries, Kenya and Sri Lanka, reached 475 300 tonnes and 295 300 tonnes, respectively. Production in Kenya increased by 18.0 percent, while in Sri Lanka it declined by 11.0 percent. World tea exports increased annually by 1.4 percent over the last decade to reach 1.75 million tonnes in 2016, underpinned by larger shipments from Kenya, with exports reaching a record level of 436 924 tonnes in 2016, a 16.0 percent increase from 2015, as well as a strong annual growth of 3.4 percent in green tea exports (compared to the annual growth of black tea exports of 1.0 percent). Lower annual growth in exports was recorded by China and India, as larger portions of tea were consumed domestically. The main determinant for growth of the global tea economy is demand for the commodity. Several factors influence the demand for tea, including the traditional price and income variables and demographics such as age, education, occupation and cultural background. Other main drivers of international tea prices are market access, the potential effects of pests, diseases and weather conditions on production and changing dynamics among retailers, wholesalers and multinationals. Low price of green leaf– There is absence of fair price of the green leaves produced by the small growers. The STGs do not possess their own processing unit; and have to sell their production to the big tea estates or BLFs where price is entirely decided by the large grower or BLF. Highly perishable- Green leaf is a perishable product which needs to be processed within twelve hours of plucking. Therefore, the STGs compel to take the price whatever offer by the factory owners. Financial problems– Entire cultivation is dependent on private initiative of individual owners. Institutional finance to this sector is very less. Due to lack of ownership of land, non-registration of tea gardens, etc. the institutional finance and help from Government authorities and agencies is not enjoyed by this sector and therefore growth is hindered. Lack of technical knowledge and marketing– It was noted that most of the small tea growers are not technically sound and having lack of proper knowledge in the field of tea cultivation. These unskilled cultivators are facing problem in certain areas like- pest management, menu ring, drainage system etc. that are most essential for the growth and development of this sector. Alongside, In the absence of proper marketing channel of green leaf, the small tea sector has to depend on the buyers, like large tea garden owners, BLFs, etc. Due to asymmetric market information, absence of proper storage facilities and transportation, price of green leaf drops. 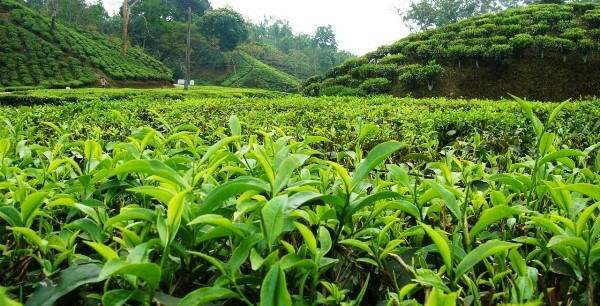 Policy recommendations– STG are a major economic force within the tea industry. This industry could build the socio-economic structure of the rural people. Sincere effort is needed from the Government side and look these small tea gardens a new development initiative for the state. Certain other problem areas include workers unrest due to hiking of wages, political and social hindrances. Of late, daily wage hike have been drawing much attention with protests from tea garden workers on increasing daily wages by Rs. 17.50 from Rs. 132.50 to Rs. 150. They are also striving for a minimum pay to be settled by the State government. This issue has led to several strikes and protests causing unrest in the tea plantations. Another important focus area is working conditions for women in the plantations. Women face many social, economic and health related problems like poor health care facility, maternal mortality, problems of epidemics of various diseases, scarcity of drinking water, illiteracy, superstition belief and alike. Indian tea industry has recorded the highest ever production as well as exports in FY 2018. The total tea production was 1325.05 million kgs, an increase of 74.56 million kgs as compared to 2016-17. In percentage terms the increase is around 6%. Similarly, the total quantity of tea exported during the financial year 2017-18 stood at 256.57 million kgs, while the foreign exchange realized from exports of Indian tea was $ 785.92 million. The growth in exports was majorly driven by the following countries: Egypt (increased by 7.49 million kgs), Iran (increased by 6.95 million kgs), Pakistan (increased by 4.96 million kgs), China (increased by 2.91 million kgs) and Russia (increased by 2.89 million kgs). In this respect, around 8 million kg of this premium agricultural produce is grown on the slopes of the eastern Himalayas in some 87 gardens spread over 17,500 acres. Apart from EU nations like Germany, Japan and US are the important export markets for Darjeeling tea. According to Tea Board of India, production of high-value orthodox tea and green tea increased during 2017-18. These teas are in great demand in high value markets such as Iran, Germany and Japan. In line with Government’s stated policy of laying emphasis on sustained export promotion in order to maintain supply-demand balance as well as earn higher price realization for the Indian tea industry five targeted highly potential markets have been identified. The programme ‘Project 5-5-5’ would cover five strategically important markets viz. U.S.A., Russia, Kazakhstan, Iran and Egypt for extensive & intensive promotional intervention through implementation of five specific activities over five years through dedicated funding. The above countries were selected based on the parameters of “Market Attractiveness & Potentiality” and “Ability to compete by the Indian Tea Industry”. The foremost objective of the entire exercise is to position “Indian Tea” as an over-arching umbrella brand under which five identified promotional activities would be designed, coordinated and implemented through reinforcing “Brand India” connect amongst the target trade and consumers. Also, under overseas promotion scheme, it is proposed to promote Darjeeling, Assam, Nilgiri & Kangra teas and the respective logos among consumers with a view to building equity for Indian tea in international markets. Promotion would be undertaken with inputs and advice from the Industry. Promotion of India teas are proposed to be undertaken in the overseas markets through road shows, participation in trade fairs & exhibitions, generic as well as speciality tea campaign through Tea Council in U.S.A., participation in fairs & exhibitions, trade facilitation through arranging Buyer- Seller Meets, exchange of trade delegations (inbound & outbound), information dissemination through gathering of market intelligence, protection and promotion of various intellectual properties of the Board (Darjeeling GI, Assam (Orthodox) GI, Nilgiri (Orthodox) GI etc). Membership through Tea Councils in USA and Canada also contribute to promotion of Indian tea in the respective markets. In another latest development on trade between India and China amidst the looming US-China trade war, The Tea Board has pitched for a preferential trade agreement between China and India to boost exports of black tea and imports of green tea. The duties at present were extremely prohibitive which was restricting exports from both the countries and hence needs to be lowered. 80% of China’s annual tea production is green tea and 18% Oolong variety, while 98% of the beverage produced in India annually is black tea. China’s annual production was 2600 million kilograms, while India’s was half of that. India exports around 7-8 million kg of tea to China, while the latter’s exports of green tea to India was not significant. About non-tariff barriers in both the sides, there should be harmonisation of maximum residue limit for different pesticides by both the countries. Consensus on this is yet to be reached.